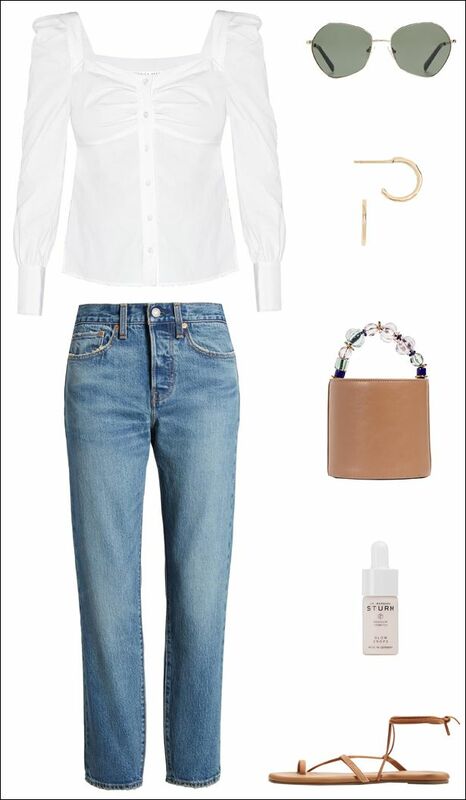 If you're looking for a an easy way to dress up your favorite jeans, take this outfit idea into consideration. The trick is all about adding elevated pieces like a romantic white top and bejeweled bucket bag. Best part is, you can get the featured clothing, accessories, and shoes at the Shopbop 'Event of the Season' sale—use code EVENT19 to get up to 25% off.